If you’re looking for land, here are our top 10 things (in no particular order) we think are highly worthwhile and important to consider *before* you buy land. Do these things and we promise they’ll make your life more easy and productive. Water catchment: Even if your land comes without dams you might be able to put some in – choose land which has a good, clean water catchment to ensure successful water harvesting. Dams: Land that comes with dam/s is a great asset – check to make sure they don’t leak – i.e. holds water and keep in mind that if there isn’t any already, you’ll need additional infrastructure, think pipes, pump/s and maybe tanks. Rain tanks: In rural and urban areas rain tanks are a must for drinking and garden irrigation. 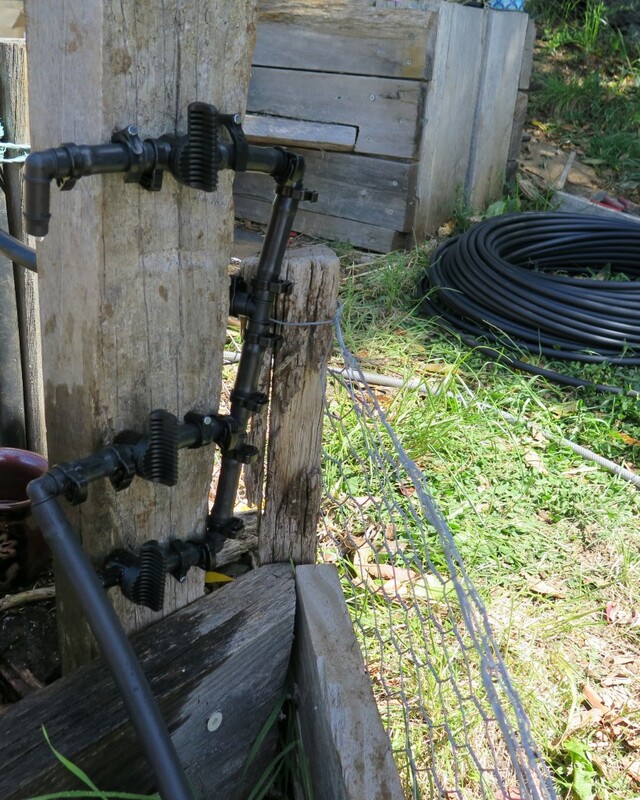 Natural springs on farms mean you have a more secure water source. Bores: Have a water test done for bore water to check for things like salinity. Creeks and rivers: Generally there are really strict guidelines around using water from creeks and rivers, talk to you local environment body to find out what these are. In Tasmania talk to NRM South, North, Cradle Coast or your local Council for guidance. It just so happens that we’re not the best people to talk about access. We bought a house and land with no driveway, it’s only legal access is a 100m staircase from the road up a *very* steep hill (around 26 degrees). Luckily we have some kind neighbours who have let us use their driveways to bring in truckloads of garden materials over the past 3 years. But it’s not ideal and we’ve been working on a solution for quite some time now which is almost at fruition (watch this space). So make sure you have easy access, or can get some. This includes roads across all areas of your farm, ideally along boundary lines and to desirable land for grazing/cropping. For urban areas, if you can get vehicle access to your front and back garden this is ideal, it means you can get bulk materials delivered for your garden (compost, woodchips etc) easily. I’ve lived in a house where we had to push wheelie bins and barrows through the house to get into the backyard, not ideal and a bit messy – luckily the landlord didn’t mind. When I think of the most useful structures (besides a house), fencing and sheds come to mind in a milli-second. If I think for one more second I would add a hot house (or glass house) to that list. Fencing in Australia is generally used to keep livestock in and native wildlife out. We have a lot of wildlife (wallabies, possum, rabbits) which will ravage the landscape and any crops you put in. 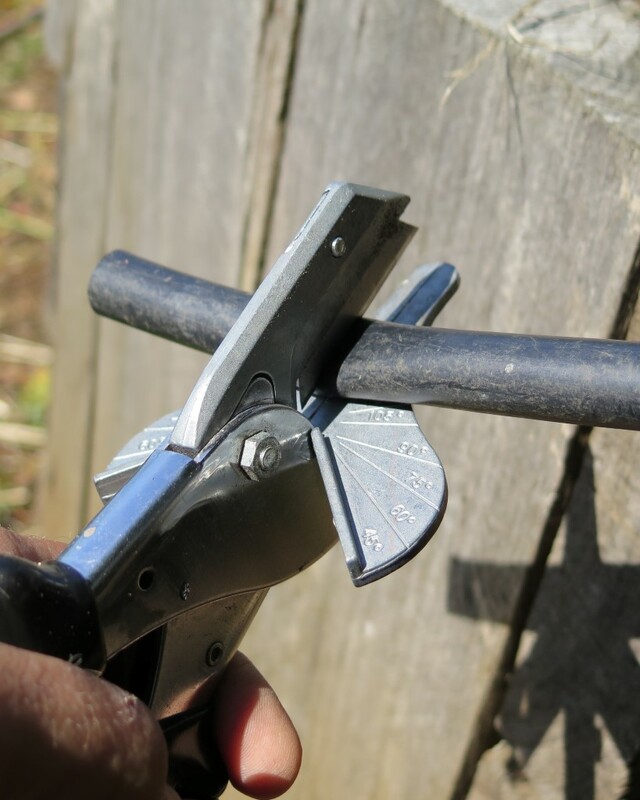 Fencing can be a major expense, in some cases it may also be appropriate to have portable electric fencing to move your animals around. But if wallabies are eating all your pasture, you’ll still need to consider permanent wallaby fencing so you have some grass for your animals. Where we live in cool temperate Tasmania in the southern hemisphere, having access to sun is really important. If you live in a place with no, or limited sun over Winter, life can get a bit hard – for you and your garden. Look for a north facing aspect (that’s south for you folks in the northern hemisphere) and make this high on your priority list. And don’t be swayed by the real estate agent insisting that a south east facing property/house is just as good as north. It’s not, believe me. And yes, I’ve actually heard a real estate agent say this. Of course, if you’re in the hot tropics this isn’t such a big deal, you’ll be looking for shelter from sun and weather with landforms and vegetation – it’s all about context. On a rural block having some established vegetation is generally a fantastic asset. Especially is it’s acting as a windbreak to buffer you from the prevailing winds and can potentially provide you with firewood and building materials. Funnily enough, in urban areas vegetation can often be a limitation as it casts shade and can dominate the soil with roots (i.e. gums). If you’re looking for a gum forest on an urban block this is no problem at all, if you’re looking for a veggie patch and orchard, you may have to consider making some strategic removals. If you are removing vegetation on a small or large area, consider the local wild life, especially the little birds who often love nesting in dense understory. You might think about clearing trees and shrubs gradually to help an easier transition take place. Some people are very passionate about only working with ideal soils and that nothing else is worthwhile, however not everyone has access to the best soils due to price (it’s expensive) and geography. The good thing is that with time you can build soil. The main thing I look to avoid is soil contamination. If you’re interested in rural or urban land you can get a quick and affordable soil test done for heavy metals and suspected pesticides. Old orchards are commonly treasure chests of old pesticides such as DDT and arsenic, in urban areas lead is the common contaminant you have to deal with. If you can, check them before you buy the land. In Tasmania you can use The List to do this for free. 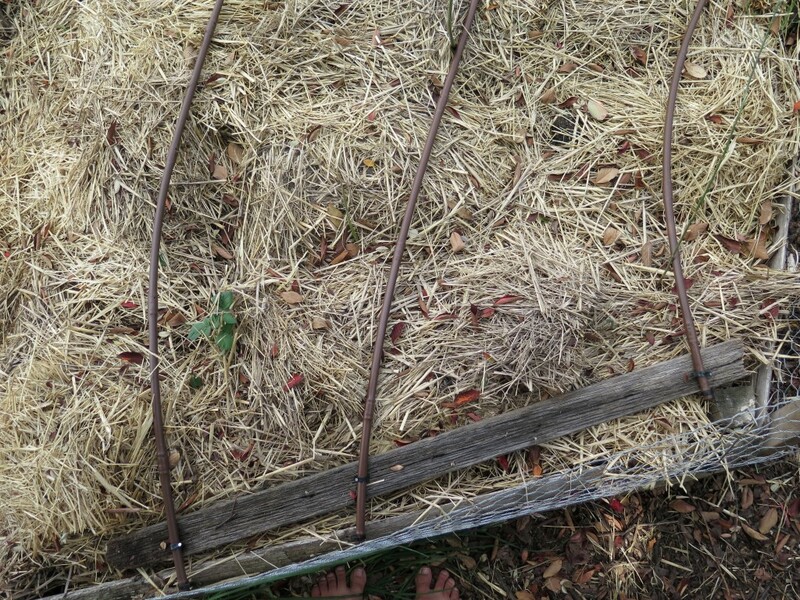 More than once we’ve worked on properties doing permaculture designs where we’ve found the boundaries are incorrect. Generally it’s not a big deal, but every now and then it can a major factor that needs addressing. Talk to your local Council and Fire authorities (Tas Fire Service) about certain guidelines you’ll need to adhere to for your patch of land. This isn’t such a major issue for people living in the city, but can be a significant one for rural folks, especially if you plan on building a new house and you’re looking at purchasing a bush block. 9. How much work is this going to be for me and can I/we do it? An important reality check. The other question to ask is along side this one is how much will this cost me/us to make it how we want it be? Sometimes people neglect these questions, leading to years of frustration and struggle. On the flip side there are ways to gather support and think beyond money, including wwoofing, helpx and your community of friends and family. It’s just important to acknowledge this as a real consideration. Whether you decide to live in a rural or urban area we strongly believe that you should have easy access to community and services relevant to you. This can look like many different things for people depending on where you are and your particular needs. For example after much deliberation, we decided to live in an urban area where we weren’t car dependent and could walk or ride our bikes to work, see our friends easily and do general errands. Obviously we sacrificed other things for this, but it’s what rang true for us and meets our needs. So ask yourself, what meets your own needs for connection to community? Notice how we haven’t mentioned views? We know they’re nice, but we also feel that they determine people’s property choices perhaps a bit too much and take priority over the considerations we’ve listed above. A good view generally means you have no/little soil as you’re on top of a ridge line or mountain, all the good top soil is half way down the mountain on or the river/creek flats. While there are definite exceptions to this rule, this is a guiding truth to be aware of. And of course, if there’s a house – get a building inspector to check it to make sure it want fall down on you. As you might have already realised, it might not be possible to get all 10 points, you may need to compromise. We compromised on access and structures (we’re building a shed in the near future and have built all our fences). You need to remain flexible and realistic in the face of what opportunities arise. So we wish you strength in the face of the gung-ho real estate agent, a level head in moments of heightened emotion (looking for land can do that to you) and perhaps a touch of luck in the stars that you find the land/house you’re looking for. ** The feature image on the home page is from some lovely design clients of ours (who chose their block quite well:-)). 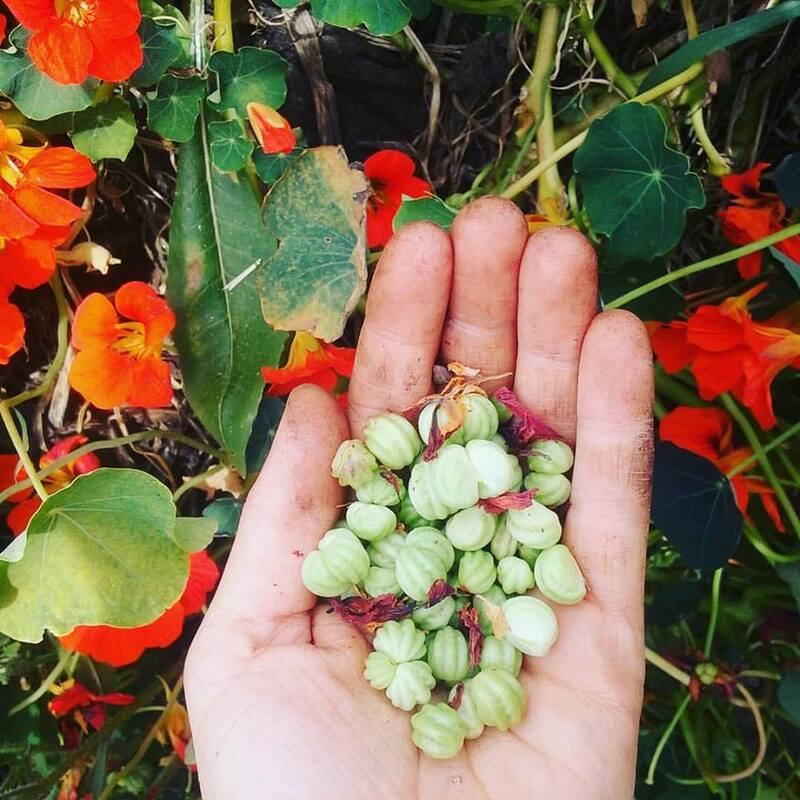 We harvest as many seed pods as possible – we usually do this in a few sessions as they’re so tiny that it can take a while to get the desired quantity. 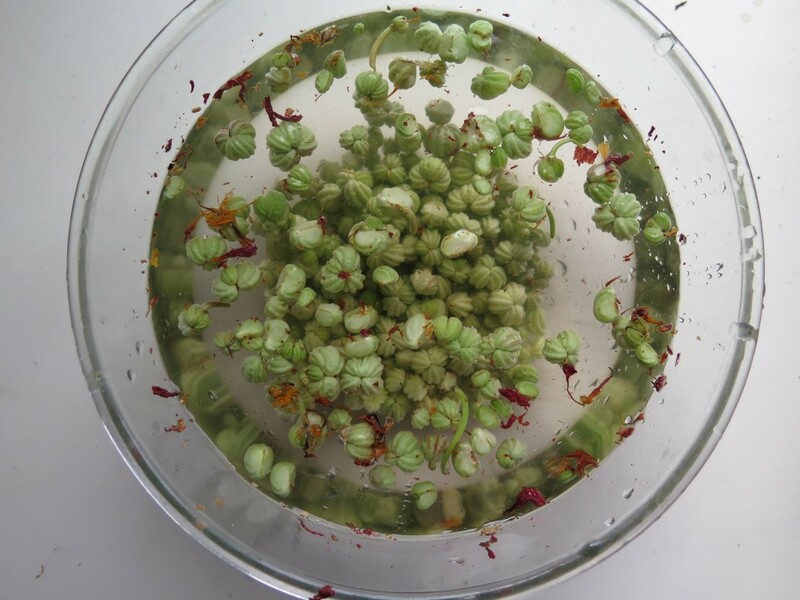 There will be bits of dead flower stuck to some of the seed pods so I dunk them in a bowl of water which helps the majority of the petals float to the top. It doesn’t matter if there’s still some dry petals left in there, so no need to get fussy. 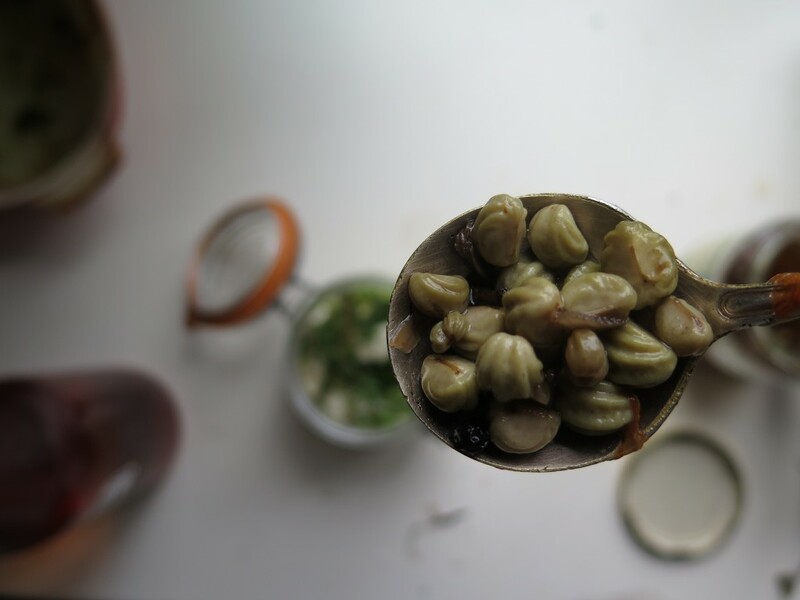 You can then strain them and pop them in a bowl while you gather other ingredients. This can vary radically depending on what you have available to you. 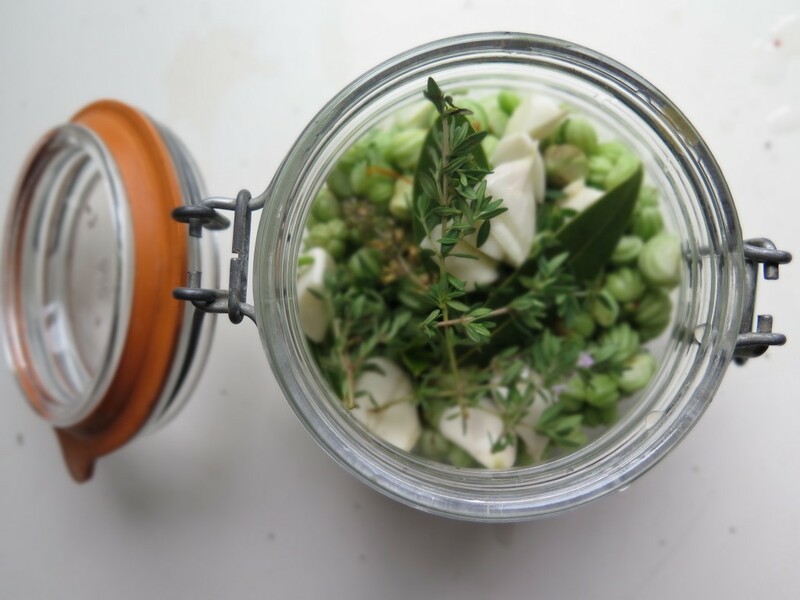 For this batch, I’ve used thyme, garlic, bay leaves, pepper corns and garlic chive flowers, but you can pick and choose your flavours to tailor it to your taste. 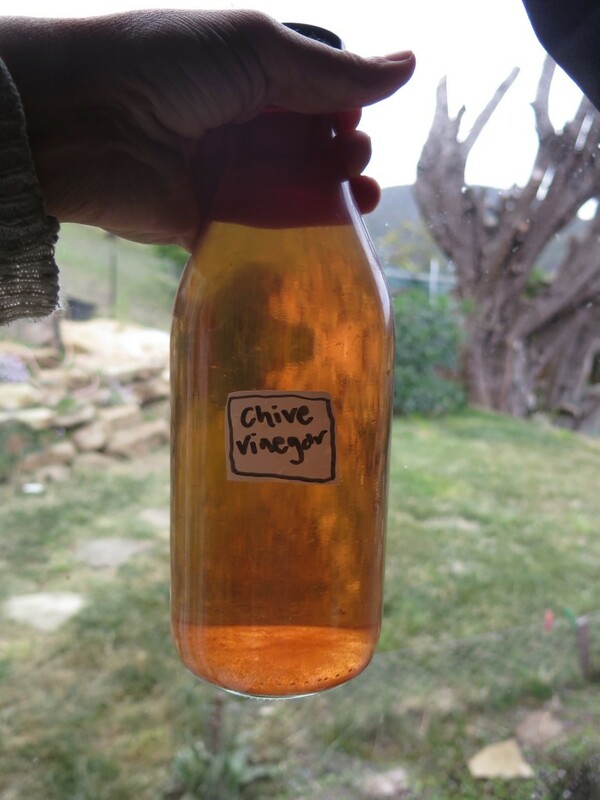 Next up is the critical preserving ingredient… Vinegar! 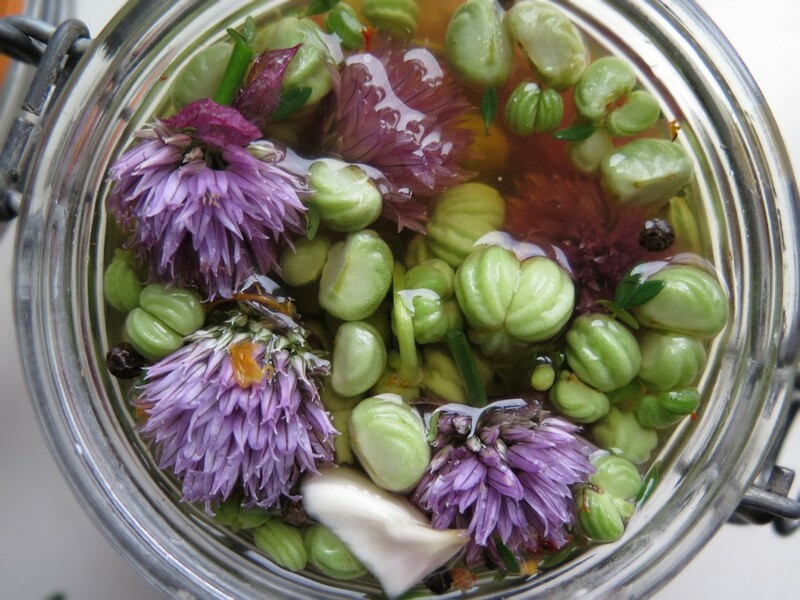 We use chive vinegar which is simply apple cider vinegar that we’ve steeped chive flowers in – it changes the colour and the flavour ever so slightly. 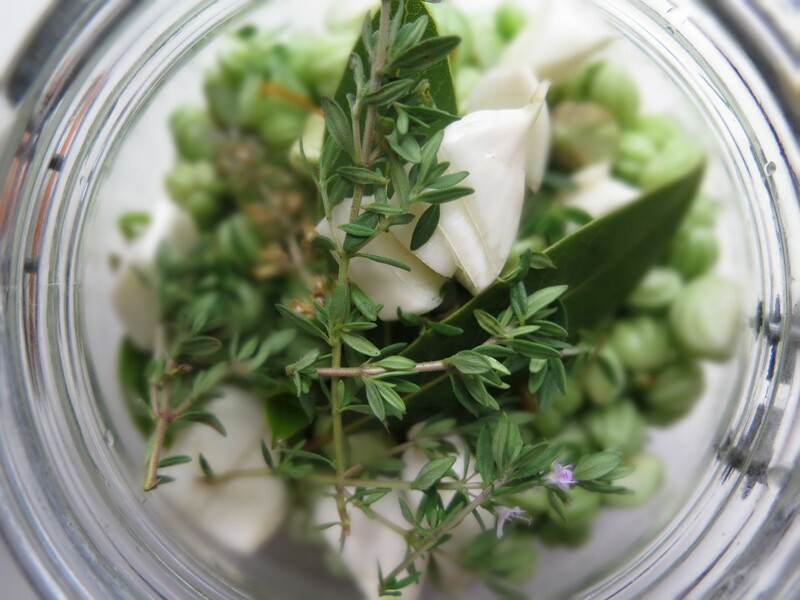 Pour the vinegar into the jar, making sure it covers all the ingredients in the jar. Some people also add sugar to the vinegar first, heating it up on the stove so it dissolves and then pour it into the jar. This is not critical, it just adjusts the taste to make it sweeter. 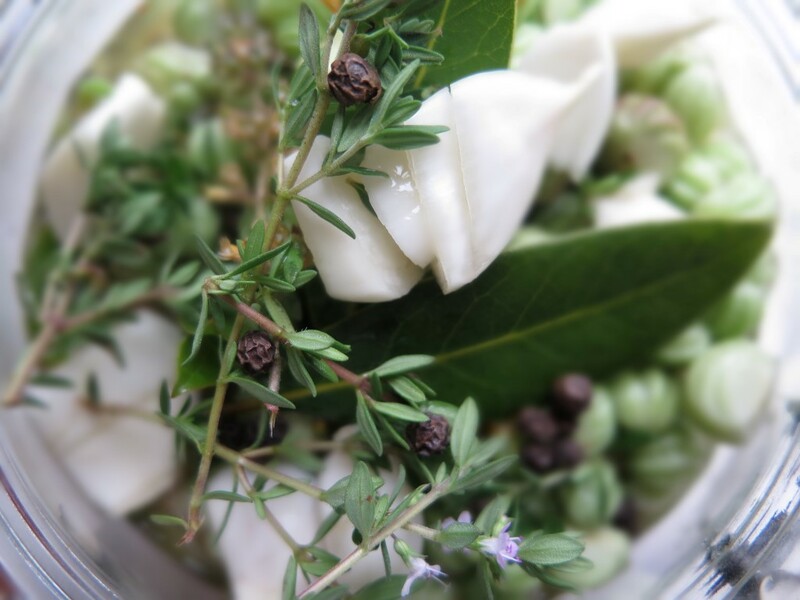 Close the lid and pop it in your pantry or cupboard (out of the sun) – the vinegar will preserve it. If you’re concerned at all about this – just put it in your fridge. Leave it for at least a few weeks (the longer, the stronger the taste), once you open the jar, keep it in the fridge and eat at will. We eat ours on pizza, pasta sauce, in salads, stews – anything where we think we can get away with it. 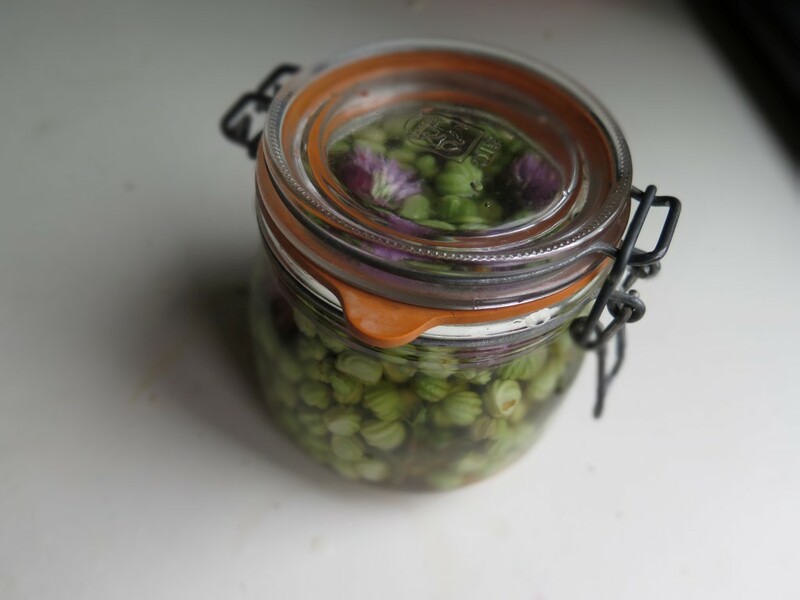 Below you can see some capers we made last year are still going in our kitchen. They lose their colour a bit, but their taste is *strong* and delicious. I’m a big fan of easy alternatives to the ‘real thing’. However if you’re after the real thing, contact our very dear friend Brian Noone in Adelaide at Caper Plants HERE. 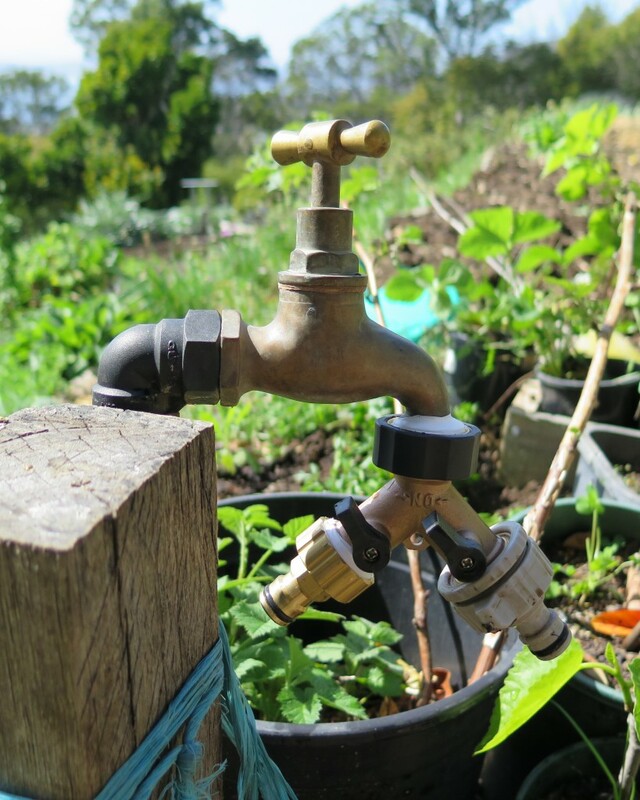 For almost three years (the whole time we’ve been here), we’ve been using passive water harvesting, hand watering and using sprinklers strategically to irrigate our growing garden. However, the plan has always been to install dripline irrigation, as it’s the most water efficient and time saving approach available. Hand watering…. And over it! But before we could do that we had to replace some significant water pipes, build a series of retaining walls (which pipes had to be integrated into), build some steps (which some other pipes had to be integrated into) and upgrade another mains water line. This took a while. So it was only a couple of months ago we finally got to install our driplines, suffice to say we love them. Here’s an overview of how to do it so you too can be liberated from hand watering. Before you start *anything*, the first process to go through is the design stage. Map out your garden and measure the areas you need to irrigate. From here, you can create an accurate shopping list and be super efficient with resources and time – a big theme for us. What is dripline? – well, it’s a line of plastic tubing that drips. 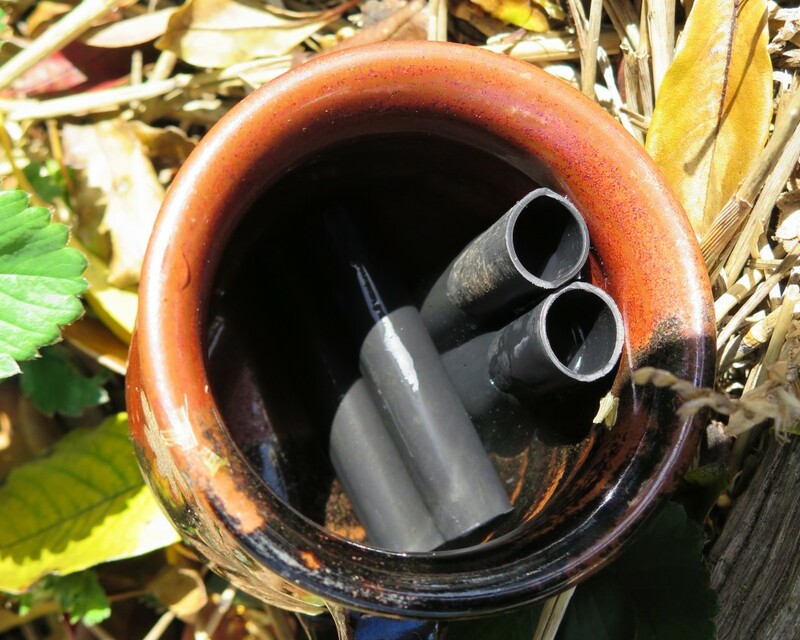 There are a range of variations, with soaker hoze, leaky pipe and 13mm poly pipe with drippers that you punch into them at desired intervals. 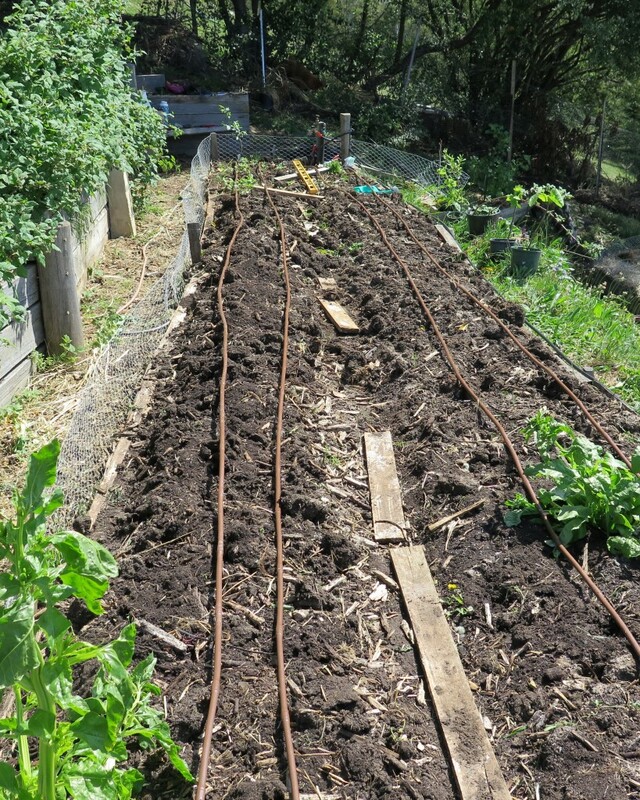 However we have been eyeing off dripline with the drippers pre-installed in the line. With products such as Toro and Netafim being popular brands – in terms of budget and quality, these seem to be some of the best. The Toro pipe we’ve used has drippers every 300mm (one foot in the old scale) – each dripper releases 2 litres of water per hour. How does it work? The drippers drip onto the soil, from the place the water hits the soil it spreads in a cone shape. With sandy soil the drip is a very narrow cone, pretty much just wetting the soil immediately below the dripper. With clay soils the cone has a very wide angle, effectively watering a larger area. 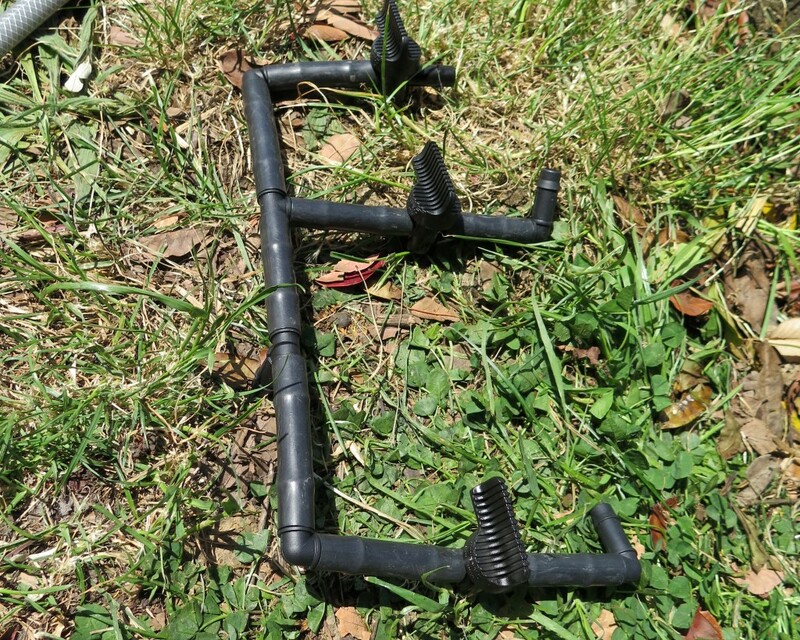 As a result, the spacing using drippers will change depending on your soil type. Pressure compensating Vs Non Pressure compensating drippers? If you are buying dripline you will come up against this terminology. Basically pressure compensating drippers can work over a range of water pressures. Why does this matter? Hilly and steep sites create different levels of water pressure. Thus using non-pressure compensating drippers could result in the bottom of the hill getting more water than the top. 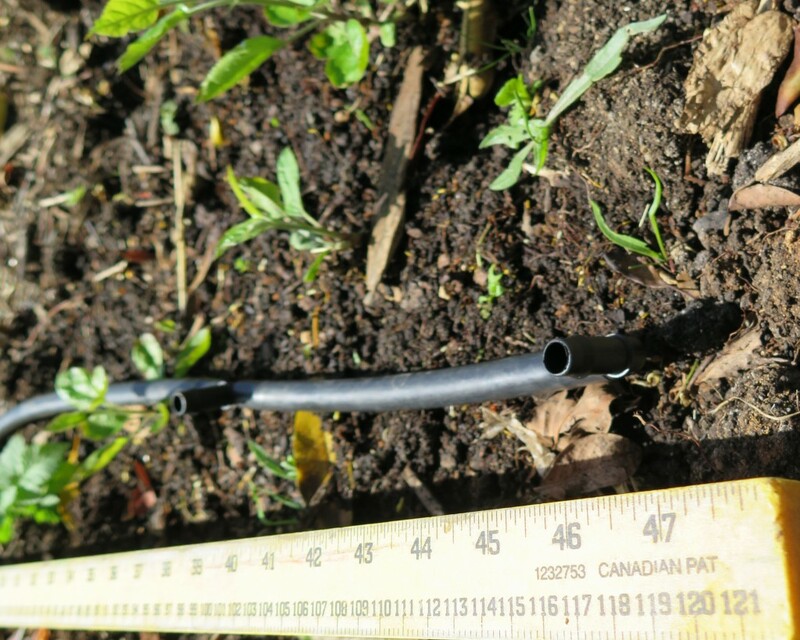 I have heard it recommended to use the pressure compensating drippers if the irrigation slope is over 2 meters or if the runs of dripline are very long. There is a whole science to this and this site has a great overview of the topic. Given our steep slope, we used pressure compensating drippers. Calculating the dripline length: First we measured the bed length and width. Then calculated the number of driplines per bed. We have spaced our drippers around 300mm apart, from this you can calculate the length of dripline you need. Draw a map of how it will work on the ground. From this you can calculate all the T connectors, elbows, 13mm plain line, clips, ends and valves you will need. Once you have worked out how many you will need, add another 20% to these. 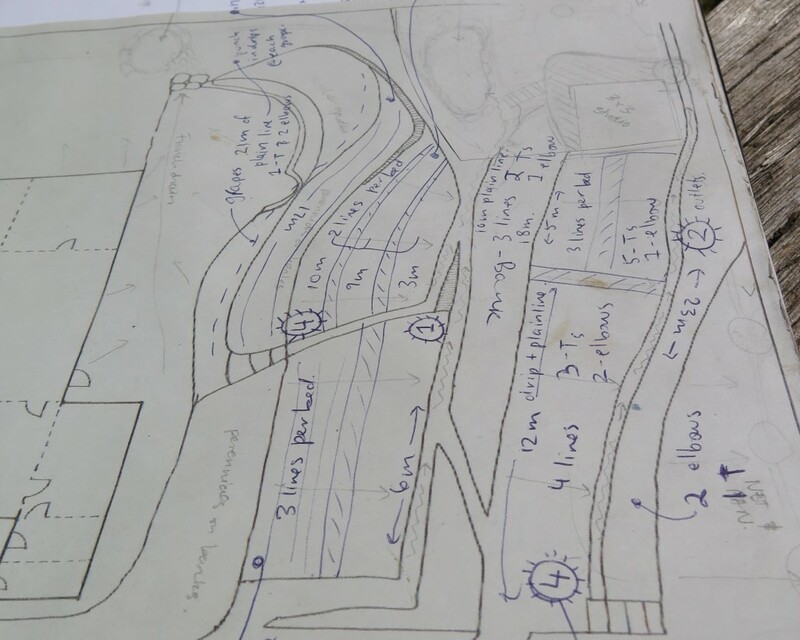 Plans change and having them on hand lets you adapt and change the design as your garden evolves. Buy the bits. Word of caution, avoid the mainstream, heavily over priced hardware stores. Go to an irrigation specialist in the “industrial” part of town. 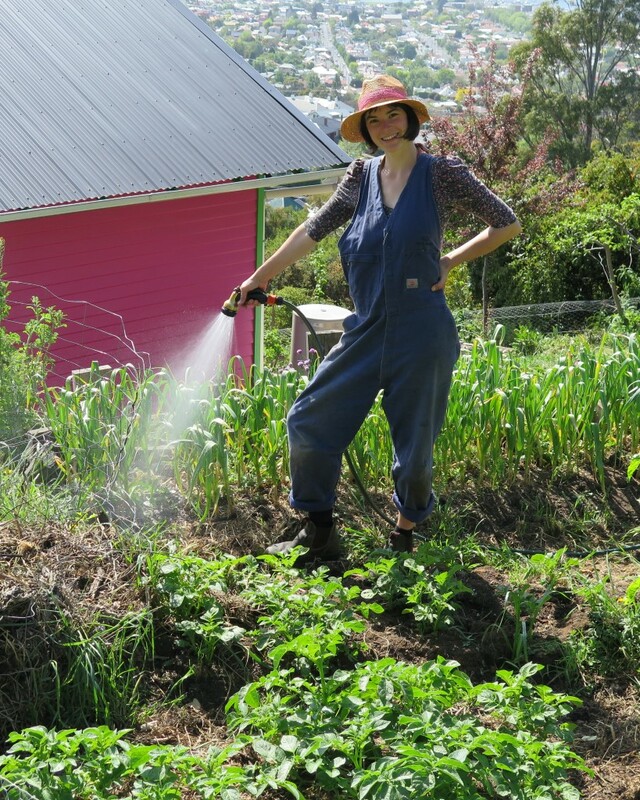 In Hobart we use Hollander Imports or Irrigation Tasmania. If you are buying online these people have very good prices and products. 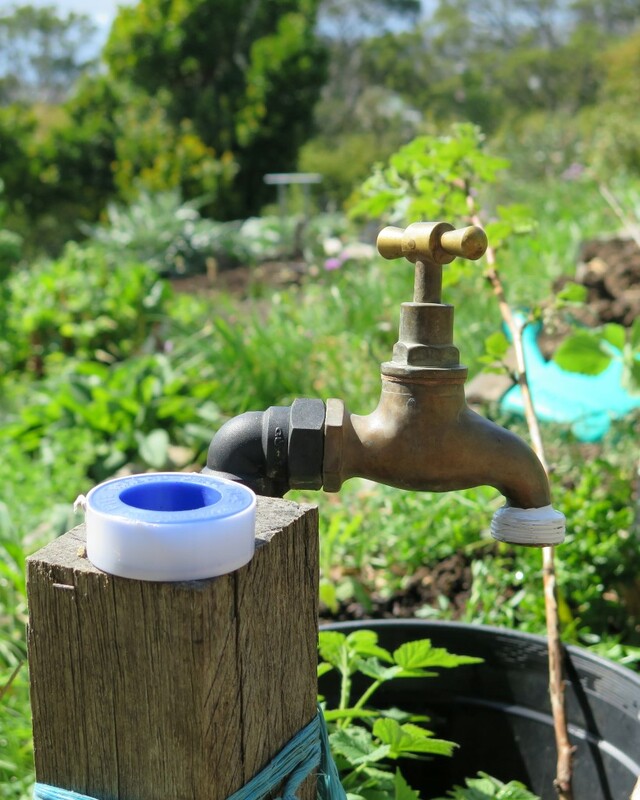 Each section of our garden is watered by a manual tap which is in turn directed to 3 or 4 sub sections of the garden. In this way we can water fruit trees differently to our vegetables as their water needs are drastically different. To do this, we create a “manifold” using a variety of connectors – the image below shows the items required. Prepare the connectors in plain 13mm poly pipe. You can use pliers or the tool below – a razer blade with leverage, affectionately known as the finger cutter. An incredibly helpful tip is have some hot (almost boiling) water on hand to place the pipe in, this helps the pipe stretch to attach each piece together easily. We fill a thermos of hot water and pour it into a cup as needed – this little trick will save you a lot of time and frustration. Attach the bits together to test it will fit the area it is made for (always test first). Clip the fittings together and attach in place. So we could still use each tap we installed a tap splitter, make sure you use plenty of plumbers tape so the tap fittings don’t leak. The dripline is attached to the tap using a standard hose tap fitting, simply put the poly pipe in hot water then attach the tap fitting – too easy. Next we need to lay out the driplines for the beds, you can see in the bed below we have set four driplines in total. 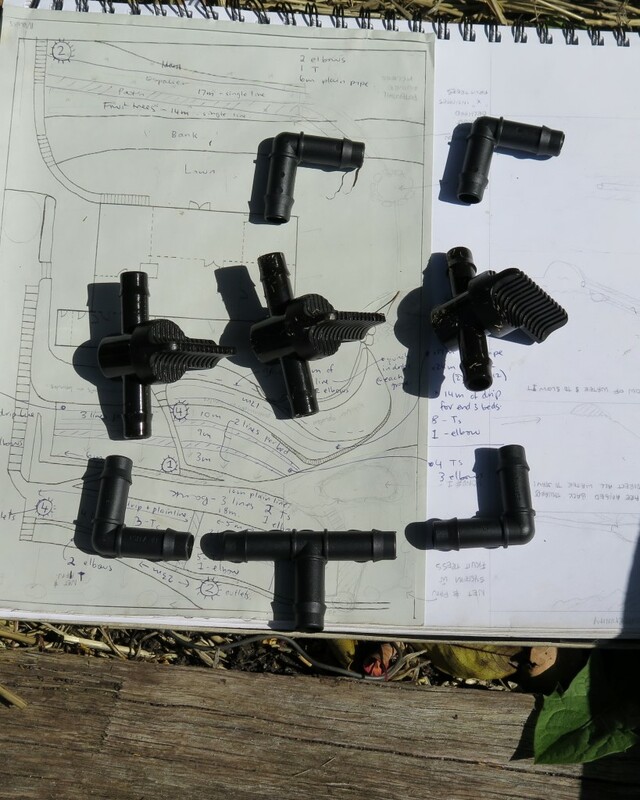 At the manifold/tap end of the driplines, we have created another set of T’s and elbows that distributes the water into each dripline. This is measured out so that the driplines are in the correct position on each bed. Once all of the above is clipped together we run water through the system. This is to flush any dirt or plastic scrap that may be in the pipe. Once this is done, we put the ‘end caps’ in place to block the end of the pipe – alternatively you can put valves at the end so you can flush the system in the future. 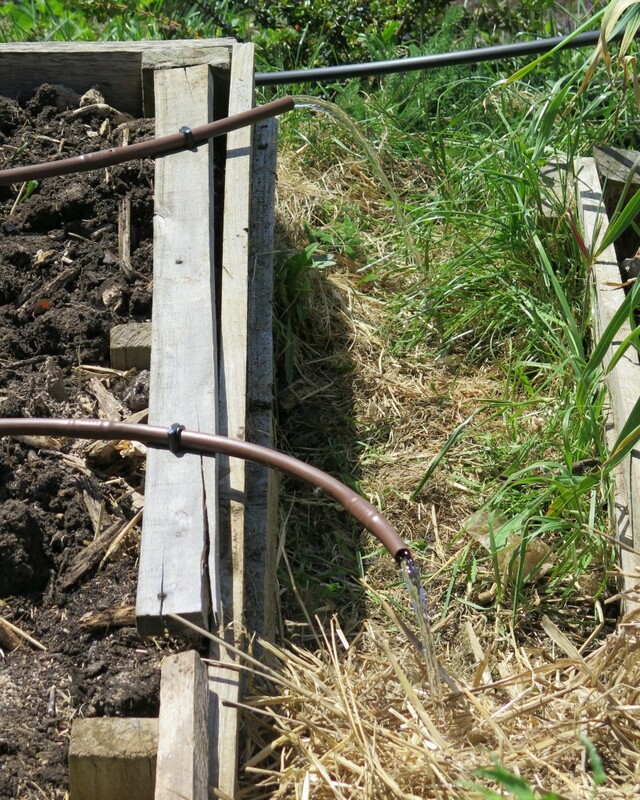 Because we’re often working vegetable beds where we do seasonal mulching/planting/digging we had to make sure the irrigation is easy to move. To do this, we attached one end to a timber strip at the end of the bed so we can just pick the whole thing up together. You don’t have to do this, indeed,for some contexts it might be easier to have them loose and just pick them up one by one. Oh, and if you run out of connectors or don’t like chopping the pipe up, you can always put it down in a spiral. Just know that if you have seeds or young seedlings you’ll need to do a bit of hand watering to make sure they get enough water in the early days. So that’s the basics of our dripline system. We have spent around $500 and have around 1/2 of our 1/4 acre block under dripline now. We think it’s more than worth it as It’s a great time saver. And if we where to do this again? We would think a bit harder about the original main water pipe layout (a 20mm blue line poly pipe). We would duplicate the system so there was a “dripper” dedicated pipe and a “tap” dedicated pipe. That would mean we could then just turn one valve and water the whole garden. This would be specifically for when we go away and we get our awesome neighbours to water the garden…. And of course you can put an automatic timer on some/all of your irrigation system – we haven’t gone there yet but it is a consideration in the future. We see what we’ve done now as an awesome stage one that fits within our context and capacity. More and more, it’s becoming important to plant for bees so that we can have reliable pollination for our food crops. 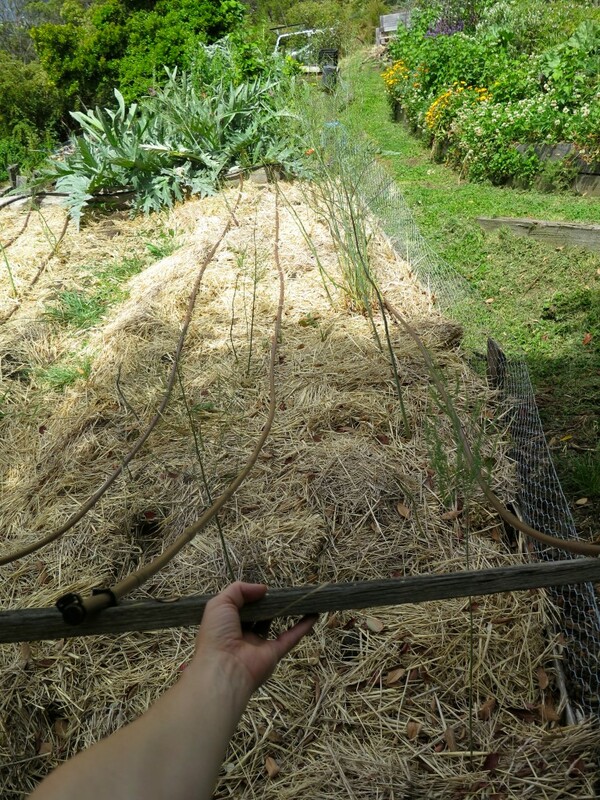 In a time where our landscapes are rapidly changing with large monoculture farming practices, forests being clear-felled and the impacts of climate change, we need to counter this with how we garden in the city and out bush. By choosing plants which have good flowers for the bees to eat from, you can provide an abundant and reliable food source for these important little friends. A snapshot of one of our gardene we allocate to flowering plants for beauty and bees. 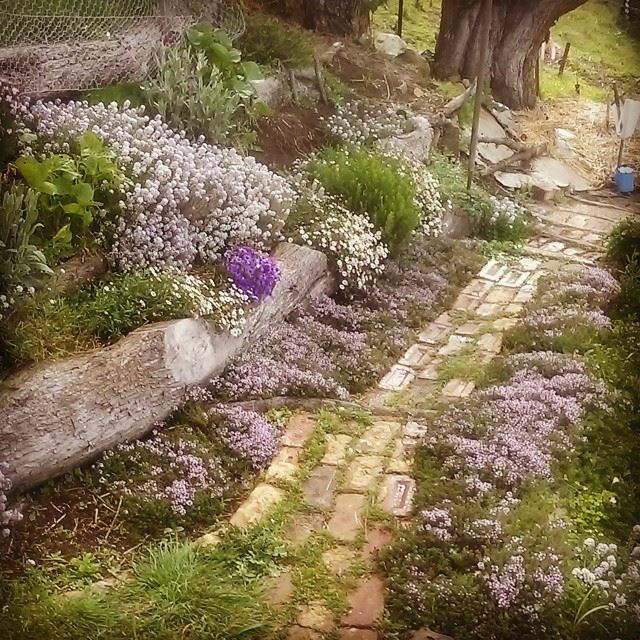 Thyme, sweet alice, coastal daisy, lemon balm, pyrethrum and anise hyssop are just some of the plants in this space. Bees will fly up to 5kms to source their food, so even if you don’t have a beehive on your property, you can still establish plants which will attract them onto your land where they’ll pollinate your crops and increase your yields. We have one beehive on our property and our neighbours who’ve been here for almost 30 years have said that since we’ve had the hive (around 2 years) their yields on their crops has drastically increased. Bees are fascinating creatures. 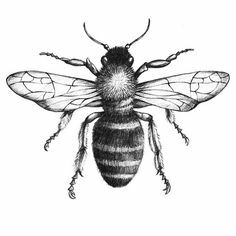 Did you know that to communicate a good source of food to the other bees, the ‘scout’ bee will do what’s called a ‘waggle dance’ for the whole hive. This dance informs the others where a good food (flower) source is its exact location. They use the sun as a reference point to guide themselves there – incredible. You can watch this 55 second video of it in action here. The waggle dance as a diagram – image from here. Depending on where you are in the world and the climate you live in will determine what plants you should choose, there’s a huge range you can choose from. Here’s a snapshot of a few for each season, ensuring that you have something flowering all year round. Sweet Alice (Alyssum): This sweet smelling clusters of tiny flowers is a hardy groundcover which self seeds easily. 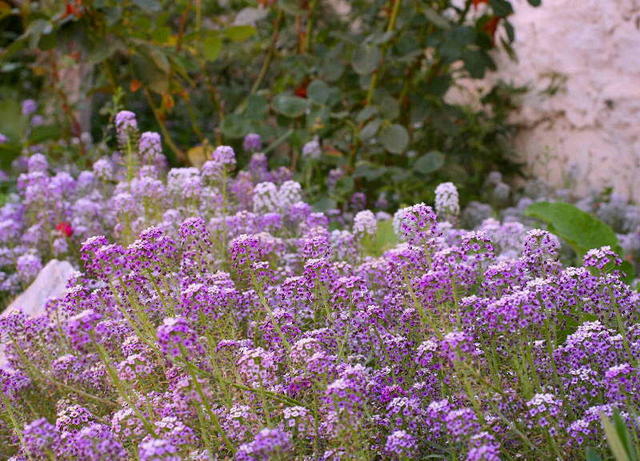 T attracts a plethora of small insects – not just the honey bee and is drought tolerant. We grow ours in dry slopes with minimal watering – it thrives in temperate and sub tropical regions. 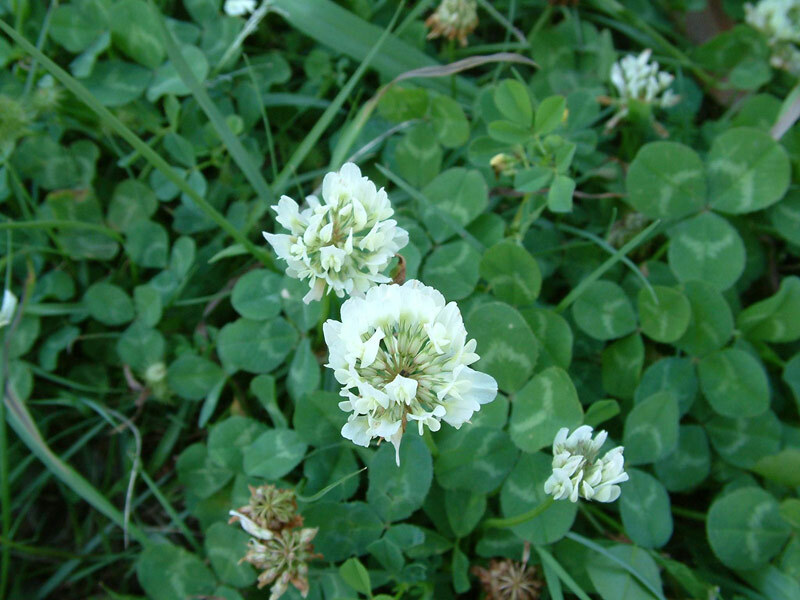 Clover (Trifolium sp): Both white and red clover plants are bee attractants. This is a nitrogen fixing vigorous ground cover which you’ll often find in pastures and your lawn. 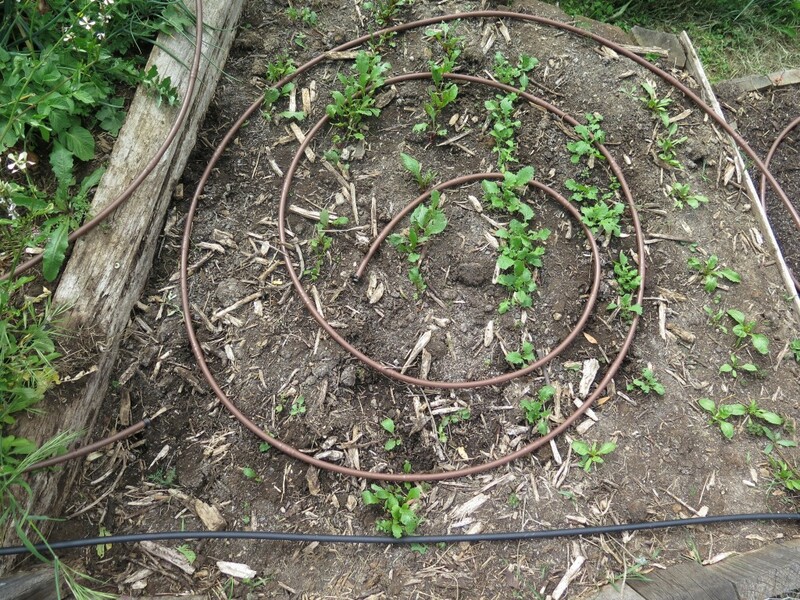 We grow clover in our edible forest garden as a groundcover and along some of our paths (instead of grass). Thyme (Thymus vulgaris): We think this is probably one of the bees favourit flowers in our garden, there’s always a massive gang of bees feasting out on this little gems. As a creeping plant, we grow it on the edges of our paths (instead of grass) and in a designated herb garden. 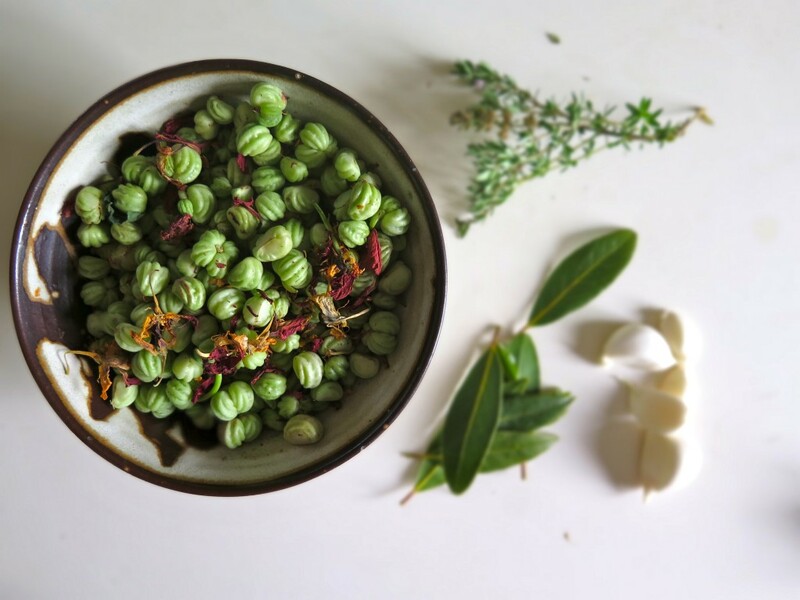 We can’t get enough of this common herb! 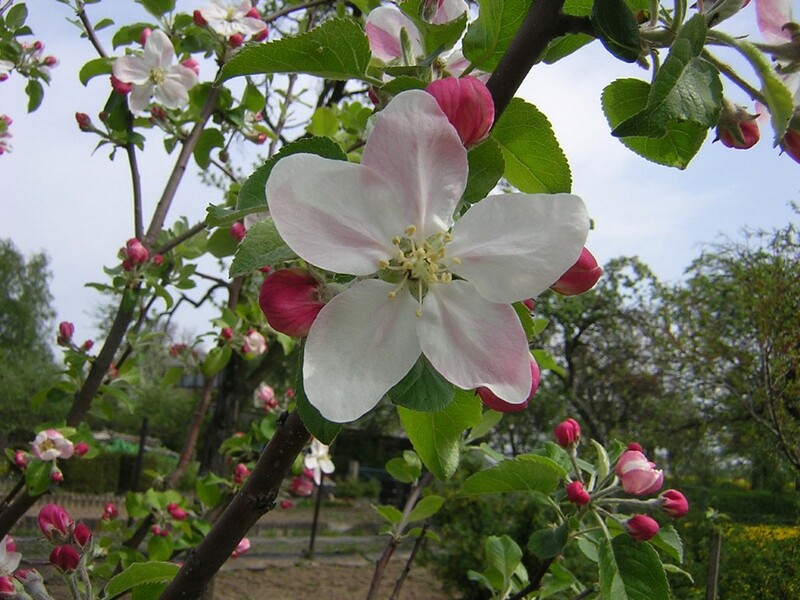 Fruit trees: Any fruit tree will provide valuable Spring flowers for bees. As much as possible we try and make our flowering plants food producing plants. Whether that’s herbs, salad flowers or fruit – choose plants which can provide multiple functions. 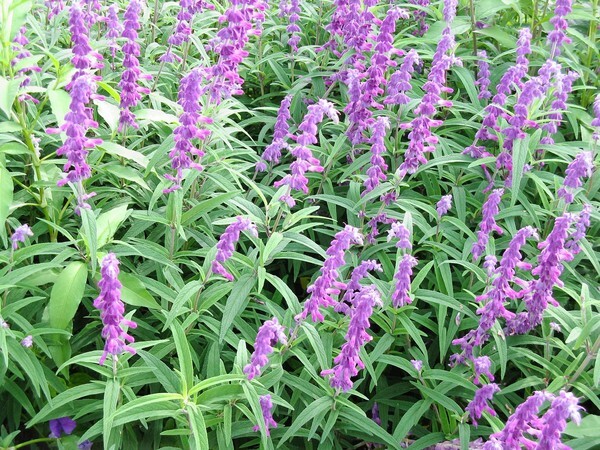 Sage (salvia officinalis): There are a huge range of sage plants and they’re all great for the honey bee. We have a few varieties we grow for culinary and aesthetic purposes. 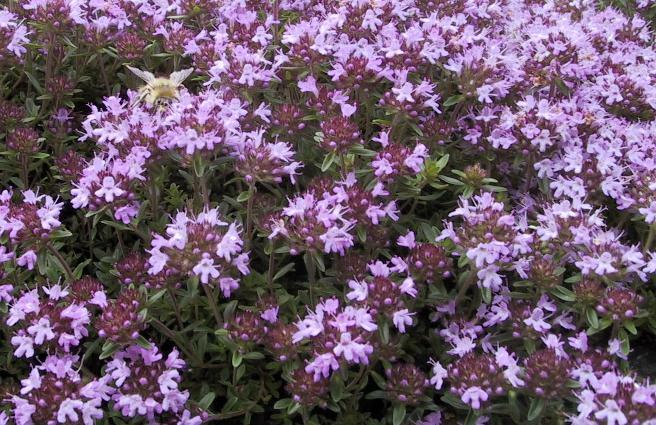 A vigorous bush and drought hardy – it’s a stable in any herb garden. 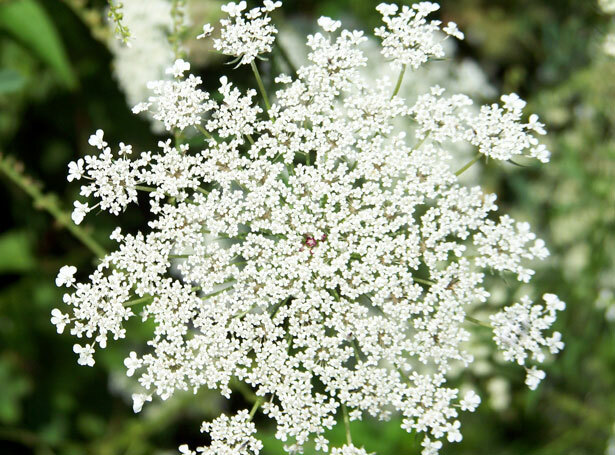 Queen Anne’s Lace (Ammi visnaga): This annual cottage garden plant grows to 1.5m and its tiny flowers attract everything from assassin bugs, lacewings, predatory wasps and of course, the honey bee. Fantastic on the edges of garden beds or throughout our orchard, it’s front tolerant and goes well in temperate and sub tropical areas. As it has a close resemblance when harvesting in the wild as it looks similar to poison hemlock. 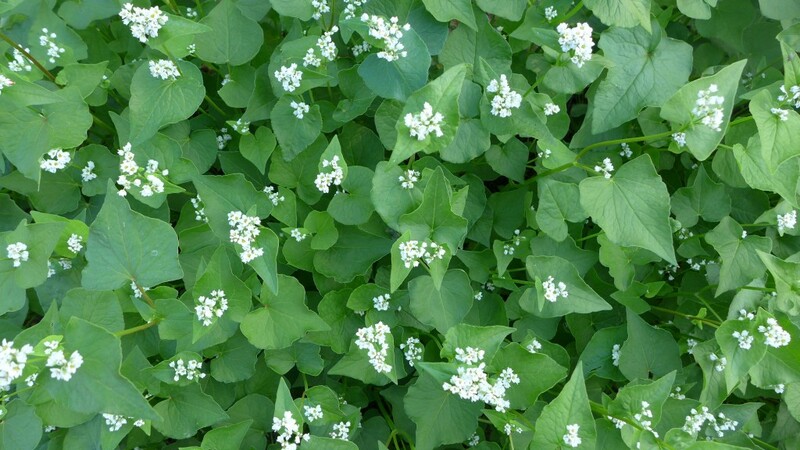 Buckwheat (fagopyrum esculentum): We grow buckwheat in our urban garden as a summer green manure to replenish our soils. In larger spaces it can be grown as a grain crop – the bees can’t get enough of these little beauties! 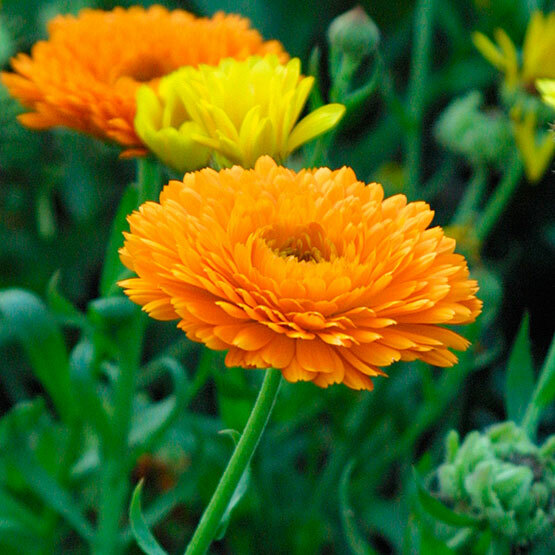 Calendula (Calendula officinalis): We have calendual *everywhere* in our gardens. This self sowing annual is a great salad flower, has medicinal properties and the bees go nuts over it. 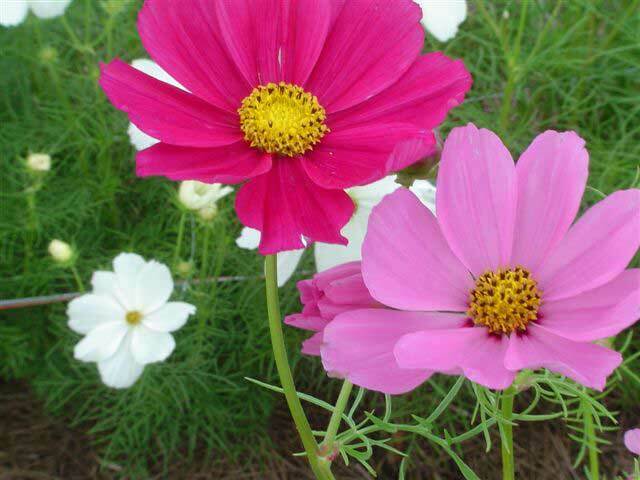 Cosmos (Cosmos bipinnatus): This little beauty is a must-have plant in and around the veggie garden, grow it throughout your orchard or around the edges of your garden beds. It grow to around 1m high in a range of colours and is popular hang out for a range of beneficial insects. 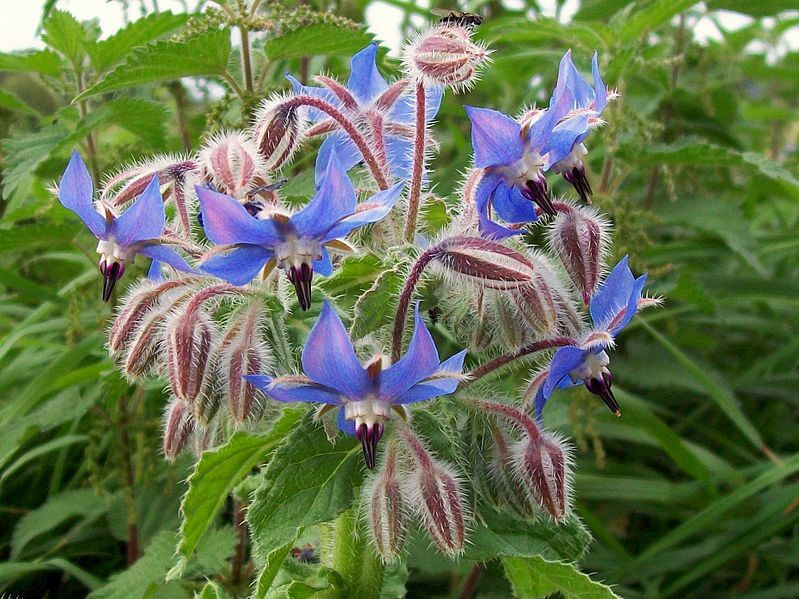 Borage (Borago officinalis): This self seeding annual is a vigorous small bush to 1m with gorgeous blue/purple flowers which are also edible. We use them in our salads or as decorations on cakes. 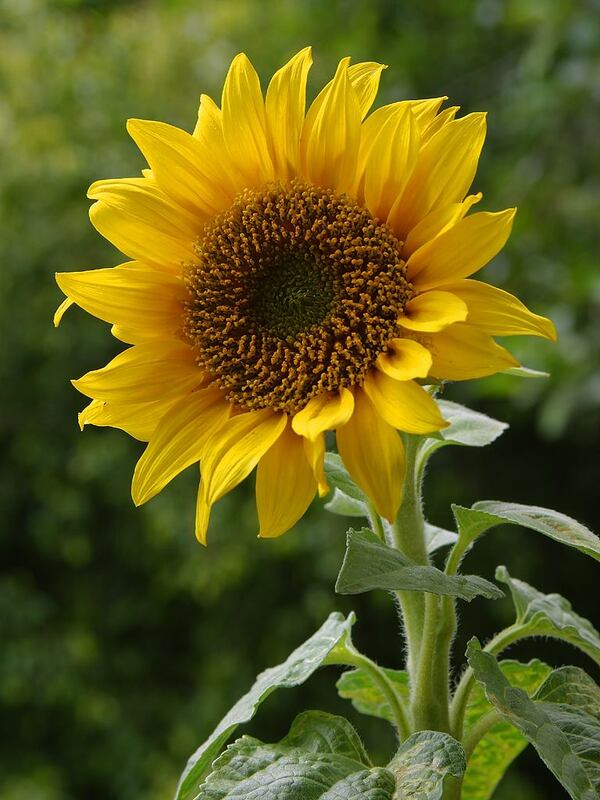 Sunflowers (Helianthus): There’s not much to say about the sunflower, except the bees love it and if you have chickens you can also feed the sunflower seeds to them as a treat once they’re ready. We throw the whole head into the chicken run and let them peck the seeds out of the head – they loooove it! 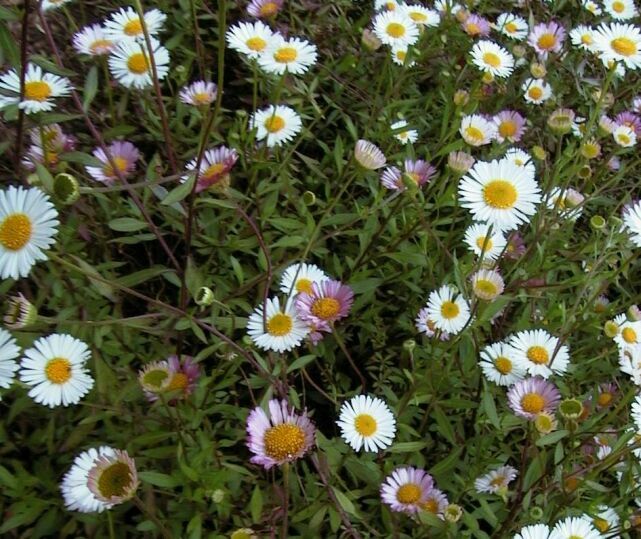 Coastal Daisy (Erigeron glaucus): One of our all time favourite edging plants, this little daisy plant is incredibly drought hardy, will spread readily and is easy on the eye. We use it to stabilise slopes and attract bees of course! 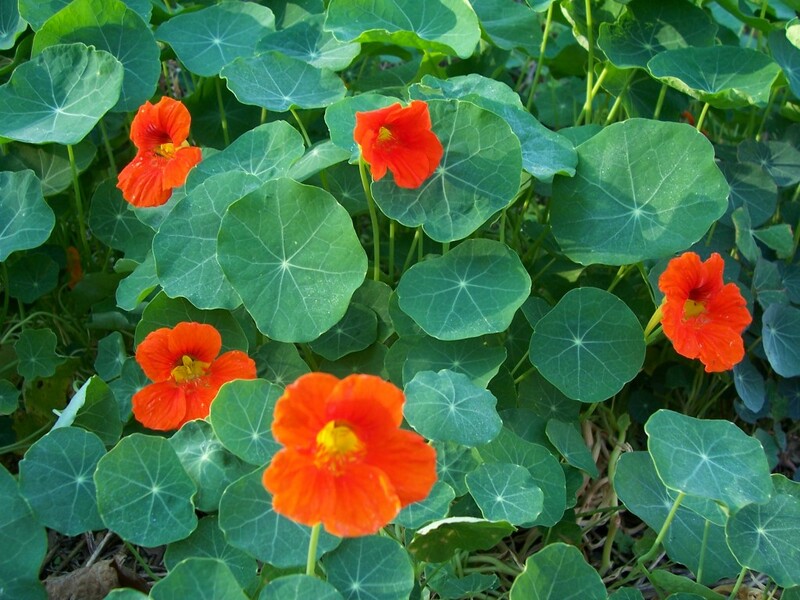 Nasturtiums (Tropaeolum): A seasonal, self seeding ground creeper or climber, you can eat all parts of the nasturtium fresh in your salads. We happen to think it’s one of the most beautiful plants in the universe and plant them throughout our orchard and edible forest garden abundantly. 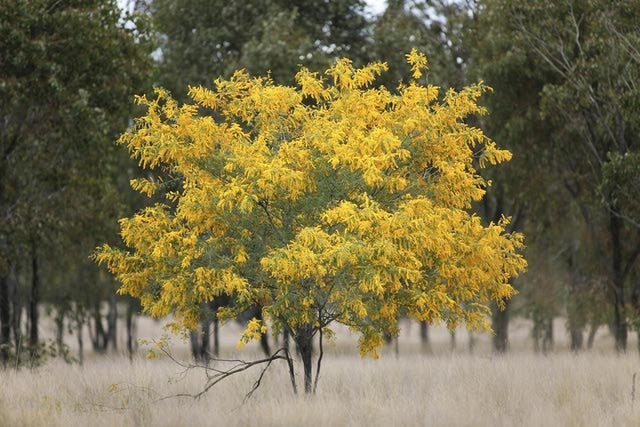 Wattle (Acacia pycnantha): An Australian native, this nitrogen fixing, quick growing hardy tree is a real beauty. In the depths of Winter it shoots out its bright golden blossoms and all is well in the world again. Whole hillsides change colour in and around Hobart (our home town) – a sign that Winter is drawing to an end and a welcome food source for any foraging beeds. 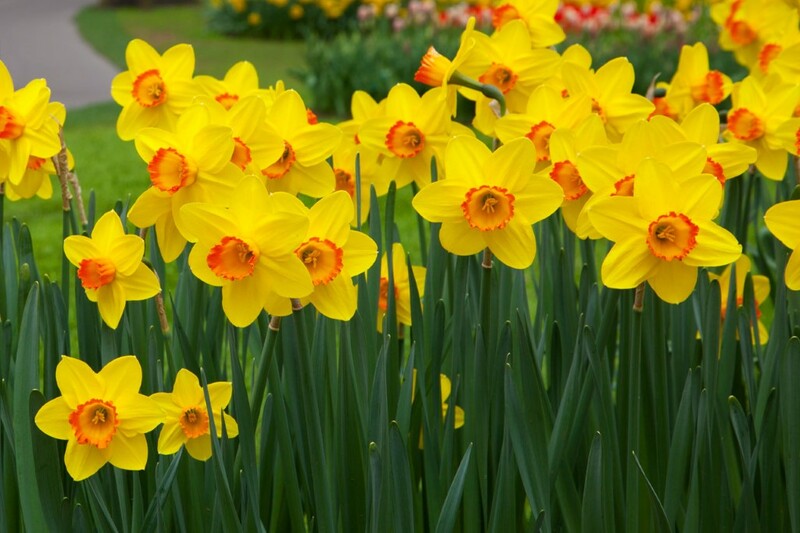 Daffodil (Narcissus): We plant a range of winter bulbs (include daffodils) throughout our orchard. They provide a much welcomed splash of colour and life when everything else is pretty dormant. Plant a range of bulbs so the flower is slightly staged over a couple of months. 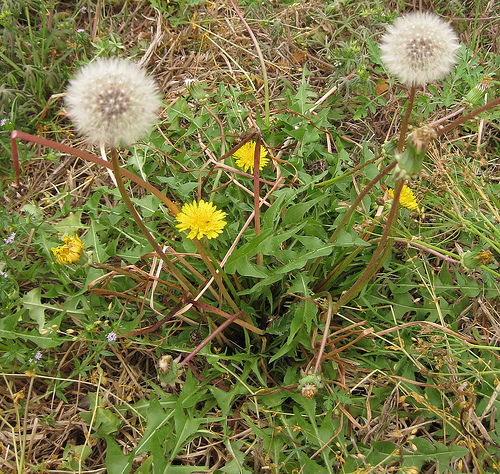 Dandelion (Taraxacum): Most people see dandelion as a weed to ignore or get rid of, but we love this plant! It’s a ‘volunteer’ in our garden, it’s deep tap root helps break up our compacted soils and we sometimes harvest the root to make our own dandelion coffee which is delicious. 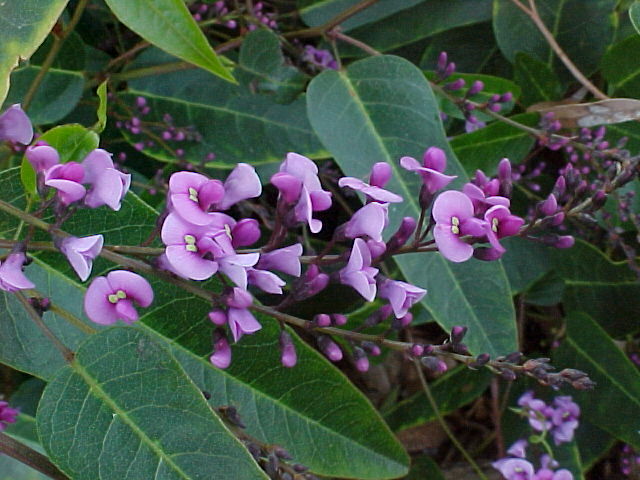 Hardenburgia: An Australian native, this climber or groundcover comes in purple, pink or white flowers and is bee heaven. It also fixes nitrogen and will grow in very average soil which is always a bonus! Some of these plants may not be appropriate for you to grow due to climate or they may be considered a noxious weed in your region – always check with your local authorities if you’re unsure. Otherwise, go forth and plant – the bees need us to raise our game in this department and you whole garden system’s health and integrity will drastically improve. Long live the bee!